NOW UPDATED ALL FISH PER ALPHABETICAL ORDER. All new links as from 13TH March 2016. Fish below are all Jumping. This is full list of fish as at 9TH March 2015. As new fish are released i will update each letter. Hope this helps everyone getting all fish required for game. Last edited by Barns on Sun Mar 13, 2016 4:25 pm, edited 35 times in total. Thanks for testing. I will upload all the fish tonight when i return from work. I will now be able to remove the Stickies and get back a Lot of Space or close Fileden. Re: FISH IN FOLDERS NOW ALL UPDATED. Made it a Sticky as Requested. the folder with the updated Razorback Sucker is not working . Just noticed this, i will check tonight when i get home. And get sorted. Just got home checked this no problem. Please try new link, should work this time. If any problems just let me know. 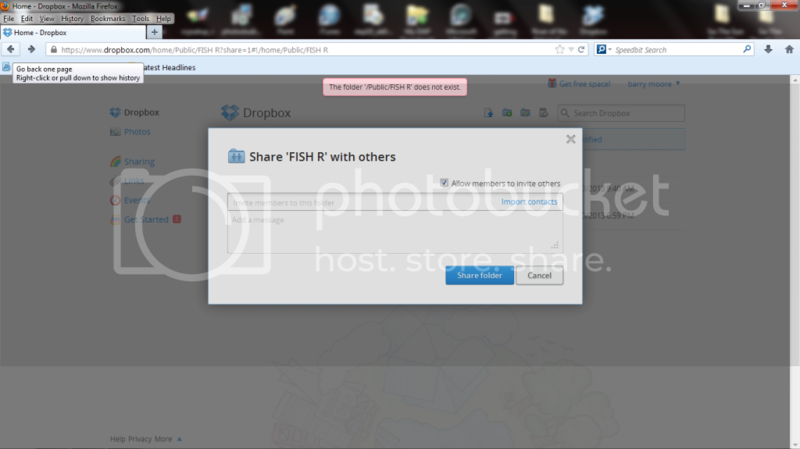 Hi, Since the newly updated fish files on the 30th Dec 2014, I cannot seem to get any further than pressing the letter of the fish required and going to drop box, but it saying it cannot find it. I am a pensioner and used to love fly fishing so wondered if I was doing something wrong or whether there was a fault in the web page.